The popular Dash 4 Cash returns to the NASCAR Xfinity Series in 2018 with full-time series drivers competing for a $100,000 top prize at each of the program’s four events. 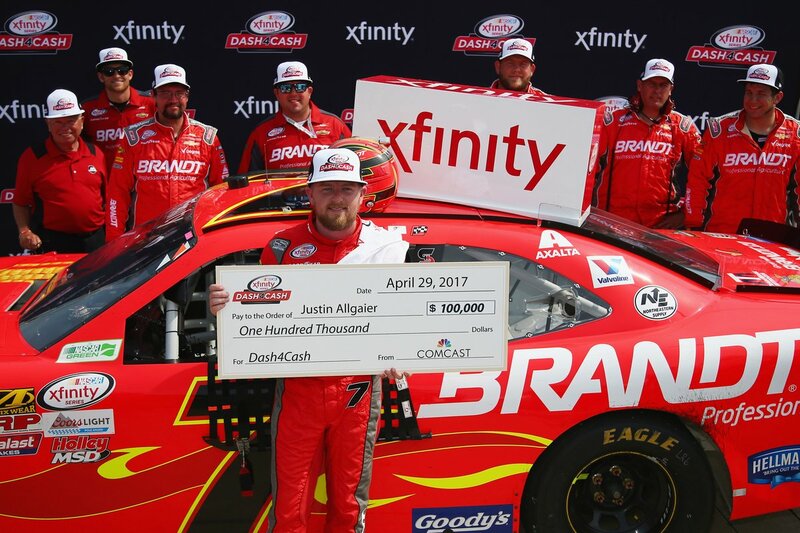 Last year, Justin Allgaier won two of the $100,000 bonuses while Daniel Hemric and William Byron each collected a $100,000 check in the incentive program. 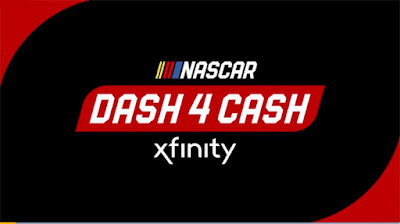 And for the first time, Comcast will donate bonus money in honor of each Dash 4 Cash weekly winner to support the local community at the four race venues participating in the program. In addition to the $100,000 prize money for the Dash 4 Cash winner, Comcast will donate a total of $40,000 to local organizations on behalf of the company’s Internet Essentials program. The program is the largest in the United States in connecting low-income households online – more than 4 million households have benefitted since 2011. • The top four NASCAR Xfinity Series drivers at Texas Motor Speedway will qualify for the first Dash 4 Cash event at Bristol Motor Speedway. • Of the four competing for Dash 4 Cash, the highest finisher wins the $100,000 prize, and automatically moves on to defend the title at the next event. • The next three highest-finishing NASCAR Xfinity Series drivers, for four total competitors, will join the previous Dash 4 Cash winner to compete for the next week’s event.